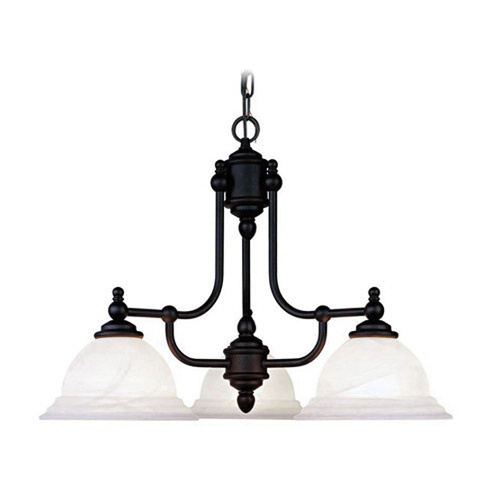 Livex Lighting 3-Light chandelier in black finish, has white alabaster glass shade that brings elegance to the home. This chandelier uses three 100-Watt medium A19 lamps. It measures 24-Inch Dia x 18-Inch. This chandelier comes with 3-ft chain and 8-ft lead wire for easy installation.